This is the smallest console for 1935 measuring 39" high, 23" wide and 13" deep. It features the 16 tube chassis with 5 bands, Tune-A-Lite and a 12" speaker. Price when new was $79.95. this cabinet and replaced it with a simpler and easier to manufacture cabinet. the A-16 pictured in the catalog At No Extra Cost. 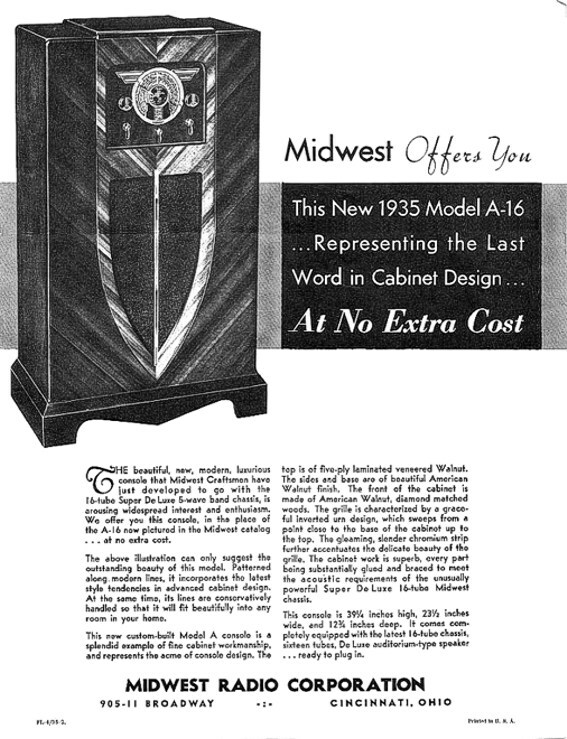 This cabinet was continued into the 1936 line-up of Midwest radios as well. 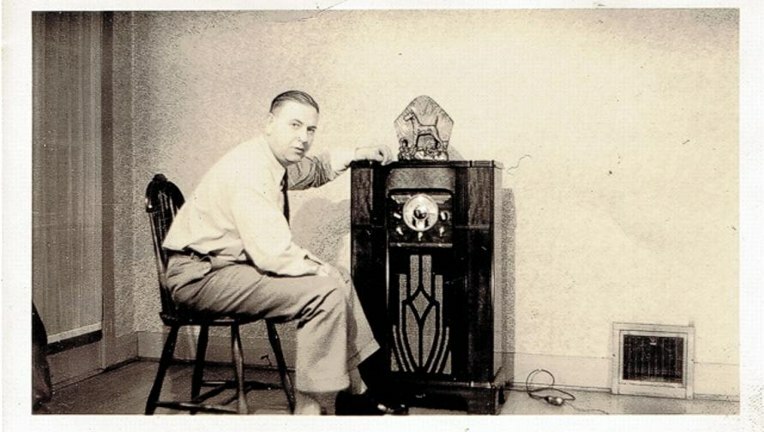 This is an actual photograph I found of a gentleman with his (apparently) new Midwest A16.